These decisions would lead to a focus on compliance by larger traders and manufacturers, who would have the ability to undertake the compliances mandated by GST. It is good that the feedback given by various bodies on the challenges faced by SME's after introduction of GST is now being acted upon and these changes are expected to go a long way in improving the ease of doing business for SME's. The Goods and Services Tax (GST) Council in its 32nd meeting has provided major relief to Small and Medium Enterprises (SME's) , who have been vocal about their challenges after introduction of GST, for quite some time. Prior to the introduction of GST in July 2017, the Excise Exemption threshold of Rs.150 lakh ensured that manufacturers below that limit need not maintain detailed tax records or worry about being compliant. Similarly, depending on the state, the VAT threshold for dealers was varied with some states having a higher threshold of Rs 40 lakh. Since GST was introduced with a uniform threshold of Rs.20 lakh for manufacturers, service providers and traders, it led to a situation where SME's were required to maintain records of sales and purchases, make regular tax payments, interact with an electronic portal etc. indicates the seriousness of the Government to alleviate the difficulties faced by this sector. These decisions would lead to a focus on compliance by larger traders and manufacturers, who would have the ability to undertake the compliances mandated by GST. 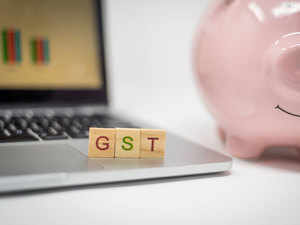 Further, on account of the twin facts that several small businesses below Rs.40 lakh would now exit GST and composition dealers would now file only one return in a year, the overall load on the GST IT infrastructure would come down significantly. This would allow the GSTN and the tax authorities to focus on larger businesses contributing significant amounts of GST to the exchequer. 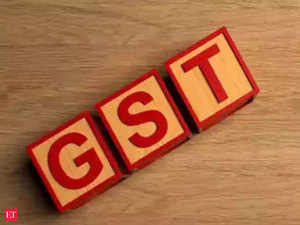 While pure service providers and mixed use suppliers of goods and services like electricians and plumbers below Rs.50 lakh can now opt for a composition scheme, considering the fact that many states would now opt for a threshold of Rs.40 lacs for GST registration, this would be relevant only to very few businesses in the Rs.40 to 50 lakh range. It is expected that the limit of Rs.50 lakh for service providers would be enhanced in future to bring it in line with that for other businesses. While it is true that these decisions would benefit the SME sector, they also lead to some alterations in the basic objectives of GST introduction. The key objectives of GST were to expand the tax base and cover the entire value chain for goods and services so that reasonable rate of tax leads to larger collections. The measures announced today would reduce the tax base to some extent and also bring about breakages in the value chain as many SME's may choose to deregister (if they are below Rs.40 lakh) or opt for the composition scheme (if they are below Rs.150 lakh) where they are not required to issue a tax invoice. This would dent some of the key objectives of GST, however it is expected that larger businesses may insist that SME's remain registered even if they are below the threshold, as the registration on the GST portal also provides an input tax credit tracking mechanism for such businesses.